Neville is my sidekick here at the Tank. 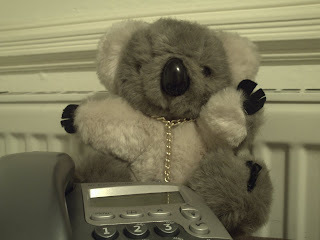 He looks after the 'office' stuff, mainly answering the phone, which is switched off, coz we dont want to wake him up. He's been with us since 1986, when he arrived here having stowed away in my fathers baggage. He's a nice chap, and although he likes to sleep up to nineteen hours a day, he is dead honest. We're thinking of promoting him to 'Project Manager' as the bloke who's been doing it for the last 27 years is bloody useless, the left hand has never known what the right hand has been doing, but perhaps thats been for the best. I see you keep Nev well chained up. 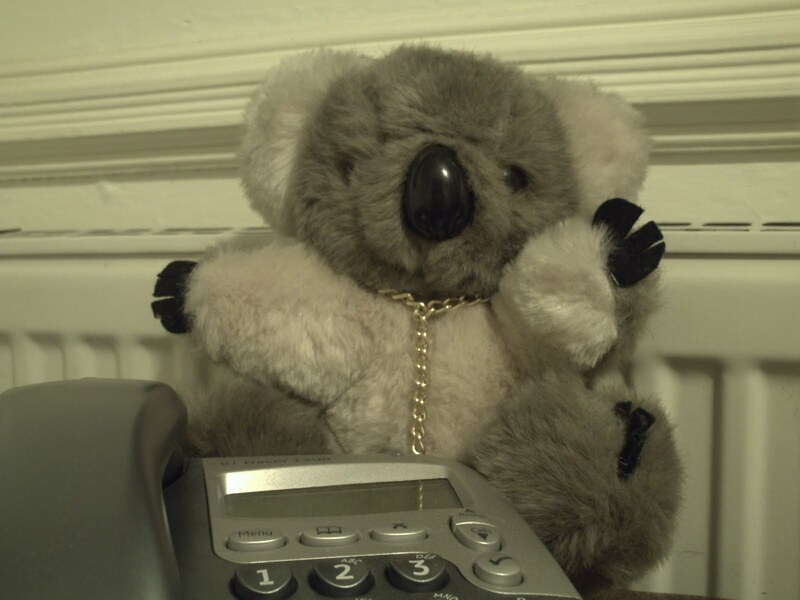 Even the most trustworthy of koalas can suddenly turn nasty. Yes, the chain replaces the jump leads he used to wear, but they wouldn't let him in the pub in case he started something.